Living with roommates is a rite of passage experience for those who are in college and in post-grad life. When you move in with another person, there will always be challenges and disagreements, but there is also the potential for friendship and mutual respect. 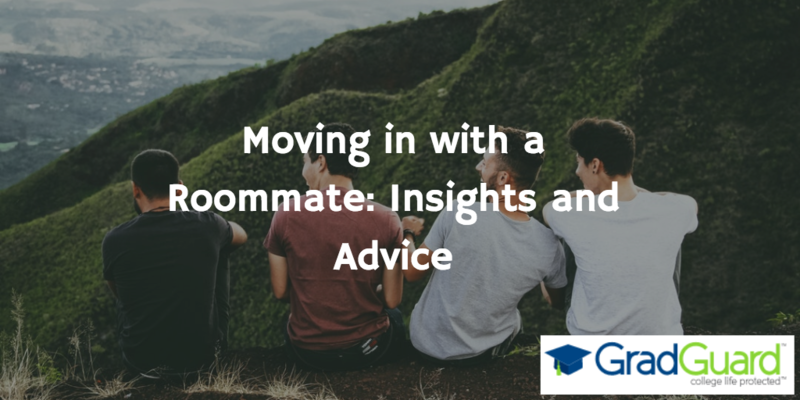 Every roommate is different, however, there are ways that you can make your experience run smoothly so that you enjoy your living space and those you share it with. Even if you are best friends with your roommate, before you move in and get settled you should fill out a roommate contract or agreement. You can’t expect anyone to read your mind, so being upfront from the start about your expectations for your shared space will open the lines for communication. Discuss issues that might come up–like using each other’s belongings or who will be responsible for the trash. Write down your preferences with your roomie’s, and keep a shared document in a place you can both access it if you want to add to it or reference it in the future. Decorations and furnishings are an important part of making your place feel like home. Before you move in, start a checklist with your roomie to keep track of what furniture pieces that you have and what you might need to get. Even if you aren’t ready to invest in big furniture pieces from a brand like Arhaus, you can check out their social media profiles, such as Instagram, for decor inspiration and then recreate their designs using different items. To ensure all roommates are involved, start a joint Pinterest page and start sending ideas back and forth. You might even find some DIY ideas that you can create together, or find ways to celebrate your shared interests or photos in your common-rooms. You can also check out our previous post to get ideas on how to decorate your dorm on a budget. Within the space you’ll share with your roommate, try to have a place to retreat to if you need some personal time. This might be tough if you are sharing a smaller apartment or even just a dorm room. This “personal space” might have to be somewhere outside your living space, like your favorite coffee shop or a choice seat in the library. You should also be honest with your roommate if you ever feel like you need more space. They may not even realize that you feel the space isn’t being shared equally, so don’t be afraid to speak up. It might take a little while to get used to your roommate, and for them to get used to you. It’s important during this time to be patient and understanding as you begin to understand each other’s personalities and habits on a deeper level. Even if you aren’t best friends with your roommate, take the time to learn a few things about them and ask them how their day was. If you understand why they do certain things, you might be more willing to forgive their more bothersome tendencies. It is also important that you and your new roommate are covered by the proper renters insurance! GradGuard caters toward college students and offers low deductibles, student endorsements, and worldwide coverage. Learn more about our insurance offers on our website.